The Office of Early Childhood (OEC) announced today that it has found a way to ensure families currently enrolled in the Care4Kids program continue to receive the child care subsidy as long as they meet the current income eligibility requirement. Instead of cutting off child care subsidies, the state will stop accepting new families into the program on Aug. 1. 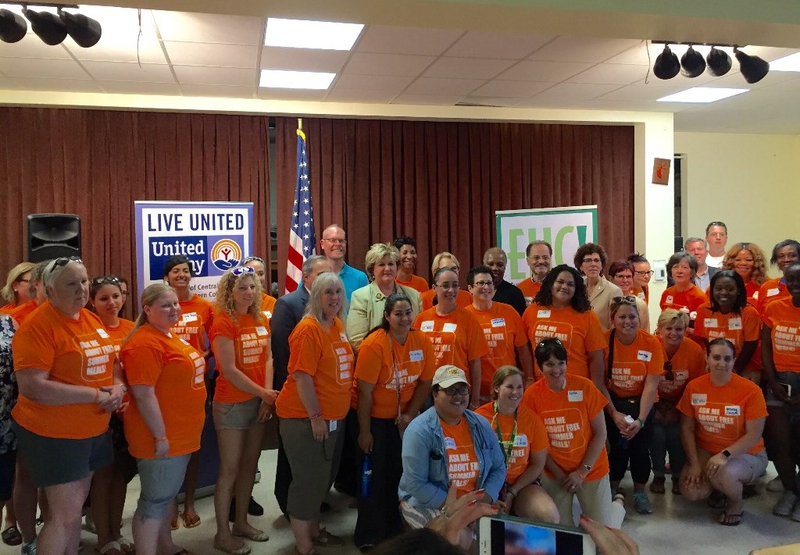 Care4Kids is a critical program for low to moderate income families in Connecticut and I am very pleased it has decided to continue to care for children already in the program. To read the full OEC press release, click here. Earlier this week, the Department of Education announced June 20-June 25 as "Summer Meals Blitz Week," a week intended to raise awareness about free summer meals. 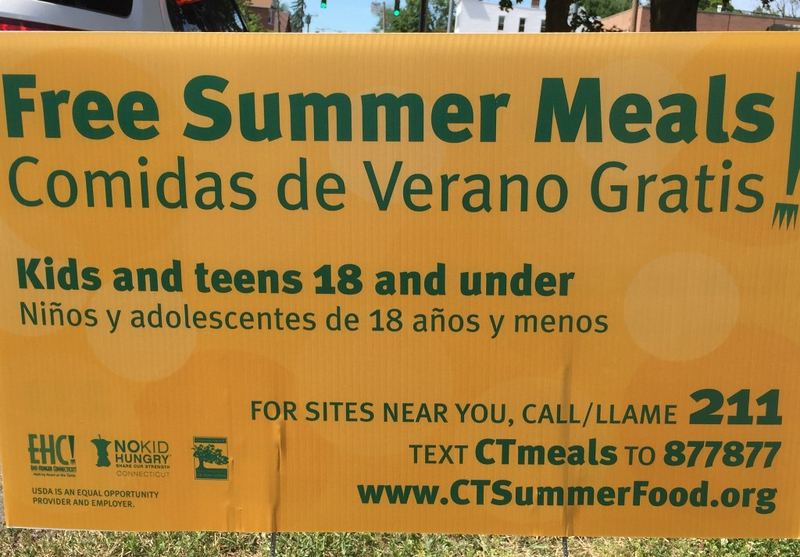 On Tuesday, I attended East Hartford's Summer Meal Blitz volunteer rally to raise awareness about these summer meals and participle in the End Hunger CT event. The Summer Meal program gives out free, nutritional summer meals for kids 18 and younger. To find summer meals near you, click here. On Wednesday night, I welcomed the North Central Regional Mental Health Board (NCRMHB) to the 11th Assembly District at their annual dinner and celebration held at Tastebuds in East Hartford. The NCRMHB works to address behavioral health needs in families and our communities by evaluating best practices initiated by local and state policy. I want to thank the boards for advocating for behavior health services and fighting for the resources necessary to ensure every citizen in our communities is healthy. For more information about NCRMHB, visit: http://www.cthealthycommunities.org/about-us. Below are pictures of the volunteer rally, in which the Lt. Governor, SDE commissioner, mayor and East Hartford Superintendent of schools, also attended. 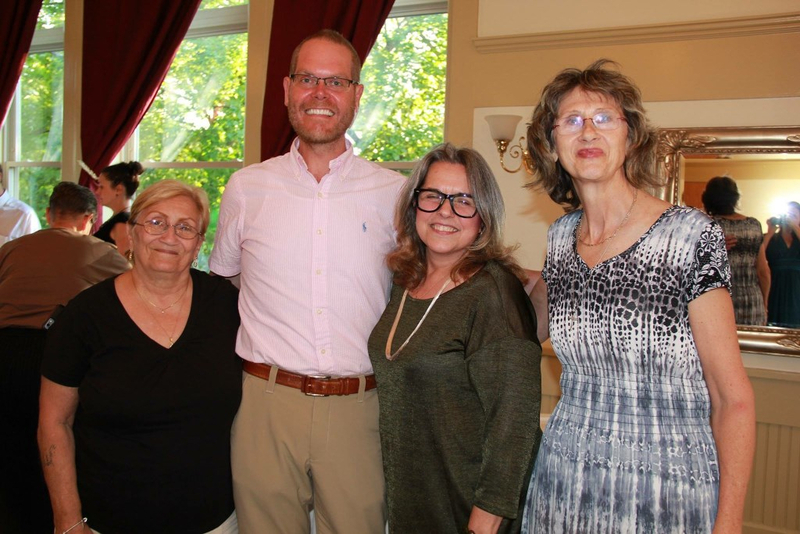 Carol (a constituent), me, NCRMHB Board Chair Tina Inferrera and Executive Director Marcia DuFore. On Thursday, I had dinner at the Red Onion to support South Windsor Police Department's Tip-A-Cop event. During the event, officers assisted restaurant staff in taking orders and serving meals to restaurant patrons. All tips the officers received for their efforts were donated to Special Olympics Connecticut to support its year-round sports, health and fitness programs for athletes of all abilities. I applaud the South Windsor Police Department for their commitment to the community and am proud to have participated in such a great event. If you or anyone you know wishes to volunteer in the Special Olympics, click here. 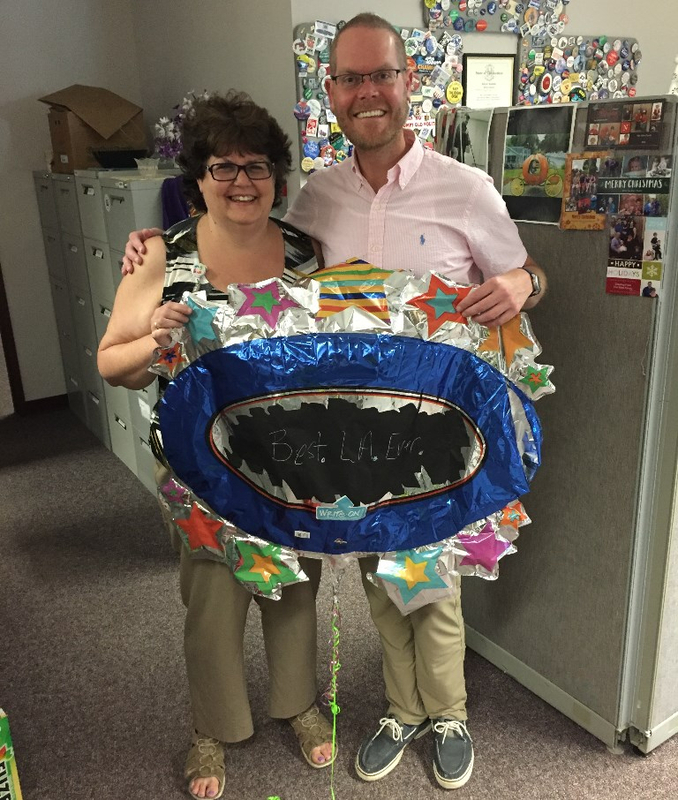 For those of you who haven’t had the pleasure of meeting, speaking or even laughing with legislative aide Dawn Niles, well here she is – celebrating another birthday! 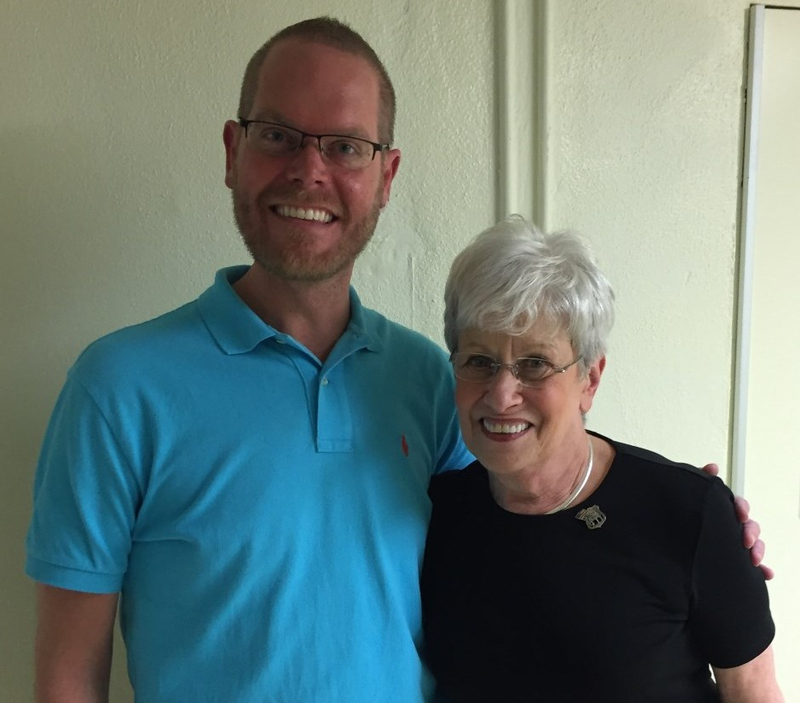 If ever you’re unable to reach me directly, Dawn has a tremendous wealth of knowledge having been with the General Assembly for a number of years and she is always ready and willing to assist those in need. There is no way I could perform the duties of this position without her guidance, persistence and friendship. 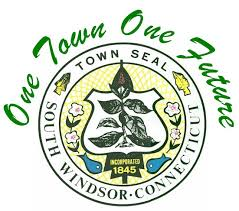 Dawn can be reached at 860-240-0082 or dawn.niles@cga.ct.gov. The second annual Michael E. Walsh Memorial 5K Race will be held at Rentschler Field, 615 Silver Lane, on Sunday, June 26. Registration begins at 7:30 a.m., the kids fun run starts at 8:30 a.m. and the race starts at 9 a.m. Proceeds from the race will go to Friends in Service to Humanity of Northwestern Connecticut a food pantry and homeless shelter in Torrington where Michael devoted numerous hours volunteering. Call Lisa at 321-987-7487 or email mew5krace@gmail.com with any questions. Visit michaelewalsh5k.org for details. The Wood Library and Museum is excited to announce the art exhibition Stories and Studies which will be on display upstairs in The Wood’s Exhibition Hall from May 15 through July 31, 2016. Married artists, Nicholas McNally and Christina Mastrangelo, have come together professionally to create their first joint exhibition featuring a mix of 30 drawings and paintings. For more information on the artists, the exhibition and reception please call 860-289-1783 or visit www.woodmemoriallibrary.org. Little Theatre of Manchester continues its 2016 season with the Greater Hartford premiere of Bruce Norris’ award-winning play, Clybourne Park. Winner of the 2012 Tony Award for Best Play and a Pulitzer Prize for Drama, this cutting-edge, funny satire explores the collision of race and real estate in the suburbs of Chicago. Clybourne Park runs June 24-26, 2016, at Cheney Hall, 177 Hartford Rd, Manchester. Tickets can be purchased by calling the Box Office at 860-647-9824 or visiting www.littletheatreofmanchester.org. Connecticut has been named one of the top five states for children, with more teens graduating on time and an overall healthier youth population, according to the 2016 Kids Count Data Book from the Annie E. Casey Foundation. Connecticut also ranks number two in child health and three in youth education, up from last year, from four and five, respectively.This is Connecticut's first time in the top five since the Casey Foundation rankings began 27 years ago. I will continue to work hard to make sure Connecticut remains a top state for children and families. Connecticut continues to score major investments that bolster the manufacturing industry and contribute to an increasingly robust economy. The U.S. Department of Energy awarded $70 million in funding for the Smart Manufacturing Leadership Coalition, whose members include multiple Connecticut labs and corporations whose members include multiple Connecticut labs and corporations. This significant investment will be of great benefit to our aerospace, shipbuilding, and energy sectors. 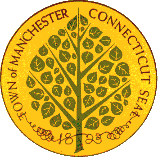 The Connecticut Office of Consumer Counsel (OCC) is asking state regulators to open hearings on rules that would give ultra high-speed internet providers easier access to the 900,000 utility poles across the state. Connecticut is becoming a growing hub for tech start-ups and access to high speed internet is an important step towards attracting more companies. To read more about the OCC's efforts, click here. It is “Pollinator Week” in Connecticut! This year I supported legislation that encouraged the development of pollinator habitats while limiting the use of neonicotinoid pesticides. It’s estimated that 75 percent of human food crops need animal pollination to produce their full yield potential and that 87 percent of flowering plants in natural systems are pollinated by animals. Connecticut’s bee colonies took a major hit last year and I was proud to support our farmers and our agriculture production. Thanks to the amazing work being done by veterans Dan and Amy Thomas at the Connecticut Department of Agriculture’s large animal rehabilitation center in Niantic, two previously abused horses are going to Alabama to help veterans with PTSD. Dan Thomas lost sight in his right eye after a rocket attack on his base in Afghanistan in 2013 and worked with horses at an equine therapy program at the Walter Reed National Military Center to help with his recovery. He hopes to replicate the program. To read more about the horses and their recovery, click here. Revenue for the first full month of keno gambling reached nearly $6 million, making it one of the lottery's top-grossing games. Keno — a bingo-style game with drawings every four minutes — was launched in late April and is expected to make $17 million in sales for the first six months of keno, according to Anne Noble, president of the Connecticut Lottery Corporation. To read more about the Keno sales, click here. 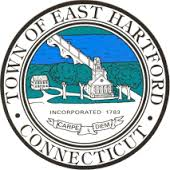 DMHAS: Alcohol and Drug Policy Council Meeting, LOB 1D, 10:30 a.m.
DPH:CT State Dental Commission Quarterly Commission Meeting, LOB 1A, 12:30 a.m.